A federal appeals court has ruled that a biotech giant cannot force a grain elevator firm to store a strain of genetically modified corn. As reported by agriculture website Capital Press, Syngenta attempted to employ a 100-plus-year-old warehouse law to force the elevator company, Bunge, to accept the GM corn. 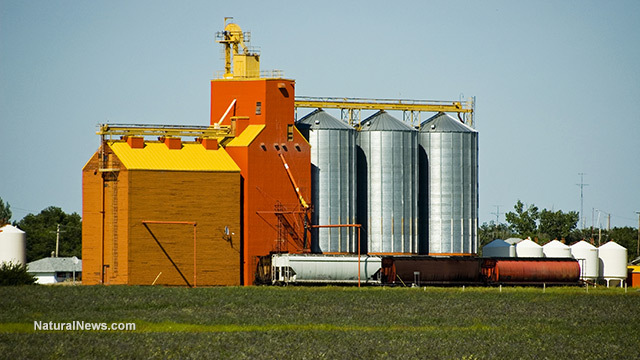 The ruling may preempt other makers of GM seeds and crops from using the same litigation tactic against grain elevators that have refused to harbor crops with altered transgenic traits, according to experts. Controversy began in 2011, Capital Press reported, after Bunge operators refused to accept the Syngenta Seeds-produced Agrisure Viptera variety of corn. The elevator operators told farmers growing the GMO strain that they could not take it because it had yet to clear legal and regulatory requirements in all major export destinations. At the time, the strain had yet to be accepted by the Chinese government.‘You don’t have a private cause of action’Capital Press noted:In response, Syngenta filed a lawsuit accusing Bunge of violating the U. S. Warehouse Act of 1916, which requires elevators to treat depositors fairly. Farmers who grew Viptera corn had to ship their crops to other elevators and find other sources of corn to fulfill their contracts with Bunge, which hurt Syngenta’s reputation and market share, the biotech company claimed.